good to know that my morning coffee is good for my liver . The krill oil issue is interessting, looking for krill oil know…. Milk thisle is also very good protection against heavy metals passing through the liver because it boosts the liver’s glutathione levels. I’m always happy to find good news about a favorite drink or food. Coffee is also my morning beverage of choice. It’s not inexpensive but the recommended dosage is quite low (usually 1,000 mg daily is adequate). Please let me know if you have any questions while looking into krill oil. Indeed. I really need to write a full column about milk thistle. It’s an incredible herb. As you probably know, it’s not just for the liver either. Lately, there’s been a lot of interest in it’s cancer fighting potential. Pretty amazing. Wow… and I always thought daily coffee was bad for my liver. I think many people (and even physicians) think that. 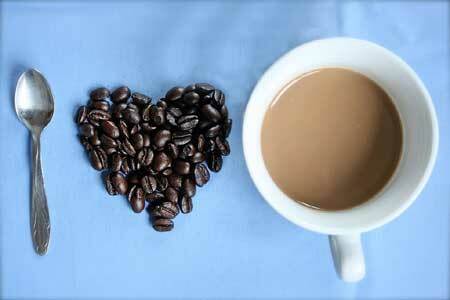 In general, coffee is still regarded as an unhealthy brew that should be enjoyed by few and only on occasion. I agree that it’s not appropriate for everyone. But modern science is making a pretty strong case showing that benefits of coffee typically far outweigh the downside of it. Good to know, right? Arch Iran Med. 2016 Sep;19(9):631-8. J Nutr Health Aging. 2017;21(4):404-412. Effect of a Low Glycemic Index Mediterranean Diet on Non-Alcoholic Fatty Liver Disease. A Randomized Controlled Clinici Trial. INTRODUCTION: Non-Alcoholic Fatty Liver Disease (NAFLD) is currently the most common form of liver disease worldwide affecting all ages and ethnic groups and it has become a consistent threat even in young people. Our aim was to estimate the effect of a Low Glycemic Index Mediterranean Diet (LGIMD) on the NAFLD score as measured by a Liver Ultrasonography (LUS). DESIGN: NUTRIzione in EPAtologia (NUTRIEPA) is a population-based Double-Blind RCT. Data were collected in 2011 and analyzed in 2013-14. SETTING/PARTICIPANTS: 98 men and women coming from Putignano (Puglia, Southern Italy) were drawn from a previous randomly sampled population-based study and identified as having moderate or severe NAFLD. INTERVENTION: The intervention strategy was the assignment of a LGIMD or a control diet. OUTCOME MEASURES: The main outcome measure was NAFLD score, defined by LUS. RESULTS: After randomization, 50 subjects were assigned to a LGIMD and 48 to a control diet. The study lasted six months and all participants were subject to monthly controls/checks. Adherence to the LGIMD as measured by Mediterranean Adequacy Index (MAI) showed a median of 10.1. A negative interaction between time and LGIMD on the NAFLD score (-4.14, 95% CI -6.78,-1.49) was observed, and became more evident at the sixth month (-4.43, 95%CI -7.15, -1.71). A positive effect of the interaction among LGIMD, time and age (Third month: 0.07, 95% CI 0.02, 0.12; Sixth month: 0.08, 95% CI 0.03,0.13) was also observed. CONCLUSIONS: LGIMD was found to decrease the NAFLD score in a relatively short time. Encouraging those subjects who do not seek medical attention but still have NAFLD to follow a LGIMD and other life-style interventions, may reduce the degree of severity of the disease. Dietary intervention of this kind, could also form the cornerstone of primary prevention of Type 2 Diabetes Mellitus (T2DM) and cardiovascular disease. J Am Coll Nutr. 2017 Apr 26:1-7. Turmeric Supplementation Improves Serum Glucose Indices and Leptin Levels in Patients with Nonalcoholic Fatty Liver Diseases. OBJECTIVE: Insulin and leptin resistance are important risk factors for non-alcoholic fatty liver disease (NAFLD). There is limited evidence regarding the effects of turmeric on NAFLD. The aim of this study was to investigate the effects of turmeric supplementation on glycemic status and serum leptin levels in patients with NAFLD. METHODS: This double-blind randomized controlled clinical trial was conducted on 46 patients with NAFLD (21males and 25 females) aged 20-60 years old and body mass index (BMI) between 24.9 and 40 kg/m2. The turmeric group (n = 23) was given six turmeric capsules daily for 12 weeks. Each capsule contained 500 mg turmeric powder (6×500 mg). The placebo group (n = 23) was given six placebo capsules daily for the same period. Fasting blood samples, anthropometric measurements, and physical activity levels were collected at the baseline and at the end of the study. Daily dietary intakes also were obtained throughout the study. Data were analyzed by independent t test, paired t test and analysis of covariance. RESULTS: Turmeric consumption decreased serum levels of glucose, insulin, HOMA-IR and leptin (by 1.22, 17.69, 19.48 and 21.33% respectively, p < 0.05 for all) over 12 weeks compared with those variables in the placebo group. Changes in weight, BMI and liver enzymes were not significant compared to the placebo group. CONCLUSIONS: Turmeric supplementation improved glucose indexes and serum leptin levels and may be useful in the control of NAFLD complications. Abstract: Non-alcoholic fatty liver disease (NAFLD) is the most common liver disease worldwide, characterized by liver fatty acid accumulation and fibrosis, not due to excessive alcohol consumption. Notably, nutritional habits have been reported to be implicated in the onset and severity of the hepatic damage, while the Mediterranean diet has shown beneficial effects on NAFLD. Free radicals and oxidative stress were suggested to be involved in the pathogenesis and progression of NAFLD, and several data highlighted the efficacy of antioxidant supplementation in its treatment. The aim of this study was to compare the effects of the Mediterranean diet, with or without an antioxidant complex supplement, in overweight patients suffering from NAFLD. In this prospective study, fifty Caucasian overweight patients were randomized into three groups (Groups A–C). A personalized moderately hypocaloric Mediterranean diet was prescribed to all patients included in the A and B groups. In addition to the diet, Group B was administered antioxidant supplementation daily and for the period of six months. Group C did not have any type of treatment. The study proved that the Mediterranean diet alone or in association with the antioxidant complex improved anthropometric parameters, lipid profile and reduced hepatic fat accumulation and liver stiffness. However, Group B patients, in which the diet was associated with antioxidant intake, showed not only a significant improvement in insulin sensitivity, but also a more consistent reduction of anthropometric parameters when compared with Group A patients. Taken together, these results support the benefit of antioxidant supplementation in overweight patients with NAFLD. Pak J Med Sci. 2017 Jul-Aug;33(4):931-936. Therapeutic benefits of green tea extract on various parameters in non-alcoholic fatty liver disease patients. BACKGROUND AND OBJECTIVE: NAFLD affecting up to 30% of the population globally. Drug treatment options are limited with disappointing results. The dietary supplementation in the form of green tea is another option. Our objective was toinvestigate the effect of Green tea extract (GTE) supplementation on various parameters innon-alcoholicfatty liver disease (NAFLD) patients. METHODS: This study was conducted Dept. of Medicineof Sheikh Zayed Medical College/Hospital, Rahim Yar Khan from 15 April 2016 to 15 July 2016. Eighty overweight, non diabeticand dyslipidemic patients of NAFLD, diagnosed on the basis of ultrasound and aminotransferases level were randomized for treatmentwith capsule GTE500mg (n=40)and capsule placebo (n=40) twice a day for twelve weeks. Anthropometric parameters, liver enzymes, inflammatory markers and liver ultrasound imaging were estimated by SPSS-16 pre and post treatment. RESULTS: As compared to placebo, GTE caused a significant improvement in body weight (29.5±3.8 to 27.2±3.2 kg/m2 p=0.03), BMI (86±10.5 to 80±12.4 kg p=0.026), HOMA-IR(4.32±2.25 to 3.16± 1.6 p=0.0081) lipid profile (i.e. TC: L242.5±20.5 to 215.4±18.6 mg/dl p=0.005; TG: 175±22.6 to145±18 mg/dlp=0.003; LDL-C:155±12.5 to 140±16.7 mg/dl p=0.011; HDL-C: 36.8±6.7 to46.4±5.8 mg/dl p =0.001, Aminotransferases (i.e. ALT: 70.4±15.8to52.8±12.2 IU/L p=0.04; AST: 65.8±12.4 to 44.3± 8.5U/L p =0.002) and Inflammatory markers (hs-CRP: 3.14±0.58 to 2.18±0.32 p =0.023 Adiponectin: 8.46±1.02 to 10.55±3.42μg/ml p =0.003)GTE also caused a 67.5% regression of fatty liver changes on ultrasound as compared to placebo which is 25%only. CONCLUSION: GTE therapy resulted in significant improvement in metabolic, chemical, inflammatory and radiological parameters of non-alcoholic fatty liver disease patients who were non-diabetic and dyslipidemic.